As New Zealand mourns for those whose lives were taken in Christchurch and we all try to process how this inconceivable act of violence could occur on our shores, I like many others have been reflecting what I can do to help ensure this never happens again. How can our organisation and our work make New Zealand a safer and more inclusive place for everyone? Those who support TechWomen are already taking action to create change in supporting those in the minority of our industry. A very warm welcome to our 28 new members since last month. I implore all of us to look for new opportunities to reach out and to understand others who might be on the outside of your ‘normal’ and welcome them into the New Zealand tech community. It is our responsibility as New Zealanders to set an example of tolerance and respect towards both those who differ and those who share our physical features or views. Let’s cast a wider net in our work to help support all those in need of more understanding and tolerance. Thank you to those who registered for the Mentoring Circles Programme we had over 250 applications for our for only 56 places! The lucky few who were selected have their first circle on the 8th April. 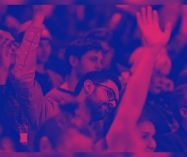 Our next focus is on ShadowTech 2019 kicking off during TechWeek and we’re on the hunt for Mentors, you can sign up here. 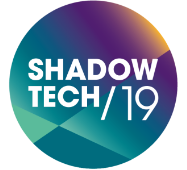 The ShadowTech programme provides girls in years 9–11 an opportunity to experience what working in the tech sector could be like, encouraging them onto education pathways that lead into tech sector roles. The programme connects girls at school with women working in the tech sector, who act as mentors. Secondary school students get to spend a day in tech, experiencing a day in the life of an IT professional. Our objective is to see an increase in the number of females who choose STEM (Science, Technology, Engineering and Mathematics) related subjects at a secondary and tertiary level and ultimately choose a career in tech. In 2018 ShadowTech had over 600 students, 300 mentors and 100 organisations participate in six cities, this year we would like to see similar or greater numbers take part in the event. We are still in need of funds to run the programme so if you or your organisation can financially sponsor the event please contact Edwina Mistry, Nick Elias or me. Following International Women’s Day, read about the women who are making a big impact in FinTech in New Zealand, Invsta founder and CEO Rachel Strevens, Banqer co-founder Kendall Flutey and Sharesies co-founders Brooke Roberts and Sonya Williams. At a time when combativeness and vicious disagreements are poisoning our social fabric, there would be much value if all our leaders, and especially high-profile leaders in politics and business, displayed considerably more grace. A crucial trait most of today’s leaders are missing. Women make up more than half of the insurance workforce, but this trend stops sharply approaching key positions of leadership. One New Zealand insurer which has bucked this trend is AIA, who currently has a female-majority executive suite. Meet this female-dominated insurance executive team. Congratulations to Elinor Swery, senior solutions architect at Soul Machines for making the list of six New Zealanders on Forbes Top 30 under 30 hot list. To create an inclusive workplace culture, organizations need a unique approach tied to broader inclusion efforts. Read an employer’s guide to fostering inclusion for refugees in the workplace from Deloitte. New data from Statistics NZ highlights the continued growth of R&D (research and development) by tech firms, with computer services and scientific and tech services is making up 35 percent of all R&D investment. For the last four years, companies have reported that they are highly committed to gender diversity, but that commitment has not translated into meaningful progress according to Women in the Workplace 2018 – LeanIn. ‘Businesses founded by women ultimately deliver higher revenue’ did you know that women owned start ups are a better bet? Find out why. Check out this year’s HiTech Awards finalists. Secure your tickets to the Gala Dinner on 24 May in Auckland. Hear Betty Ofe-Grant (a lecturer in management at AUT) being interviewed on Radio NZ’s Nine to Noon programme discussing the “brown glass ceiling”. Betty did her PhD on the career barriers and challenges for Pasifika peoples in senior occupations. See the many benefits of age diversity and its benefit to corporations. Topics discussed include how different generations can learn from and mentor one another, differences between Millennials and Baby Boomers and increased discussions of diversity in the work environment. Minister of Social Development, Carmel Sepuloni announced an extension to the Canterbury trial of Step Up which helps people with health conditions or disabilities to find and stay in work has been expanded to help hundreds more Cantabrians. Attend the 2019 SheEO Summit taking place next week, 8 April in Auckland. Our goal is to reach 1M Activators, 10,000 women-led Ventures and a $1B perpetual fund to support women for generations to come. Sponsored by Westpac. 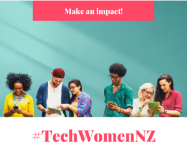 Join TechWomen and EdTechNZ at our combined event ‘How we can achieve diversity in the technology sector’ 13 June Wellington, 20 June Auckland, 26 June Christchurch. Registrations opening soon. Callaghan Innovation launches Scale-Up New Zealand, a free online platform with verified information on New Zealand’s innovation ecosystem. Learn more and register to be part of Scale-Up New Zealand. Attend the New Zealand Women’s Leadership Symposium, 28-29 May in Auckland, focusing on the challenges and opportunities for women leaders in the contemporary workforce, a gathering of New Zealand’s best and brightest female talent. Attend the Women in Insurance Summit 2019, 30 July in Auckland. This event will also showcase the Women in Insurance Awards, which you can make nominations for now. “Our team learnt a lot by simply interacting with a younger generation. Interestingly hosting the students increased staff morale on the day. We feel our business benefited from brand awareness – and possible future employees! Previous Previous post: March Newsletter – TechWomen Membership Drive: Have you joined yet?